A chic everyday handbag in black from Matt & Nat, made from faux leather with an authentic look and feel. The vegan handbag comes with an adjustable and removable shoulder strap so you can wear it as a crossbody bag or a carry like a handbag. With a rose gold coloured top zip closure, the bag features a front slip pocket with a magnetic snap closure and a back zipper pocket. The interior has both a zipper and a smartphone pocket, and is lined with recycled nylon made from plastic bottles. The Matt & Nat Vegan Whilem Handbag - Black product ethics are indicated below. To learn more about these product ethics and to see related products, follow the links below. 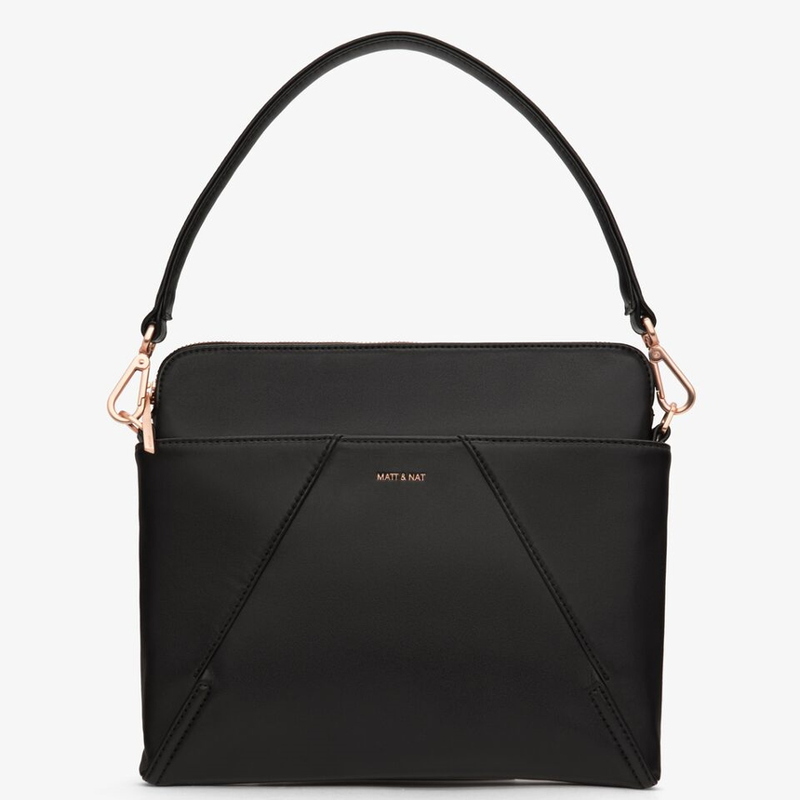 There are currently no questions to display about Matt & Nat Vegan Whilem Handbag - Black.